We had such a great response from our New Year’s special that we have decided to show our love for our users with our lowest price ever. 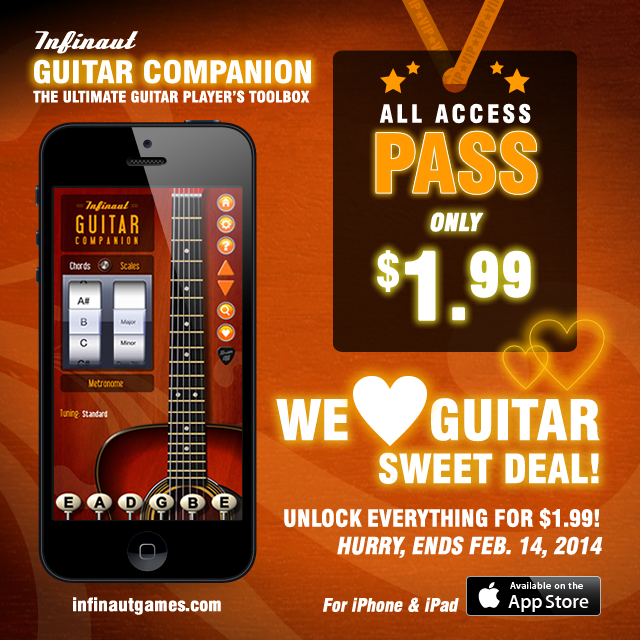 Get your Guitar Companion All Access Pass for only $1.99! Hurry, this offer ends Feb 14th! Get it today!